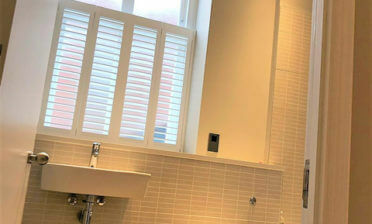 We were asked to design and install some shutters for a one bedroom apartment in Islington, North London. The client was looking to make the most of their apartment by creating a feature wall with the shutters against their floor to ceiling windows next to the bed. With limited space in this apartment, the shutters acted as the perfect window dressing compared to thicker curtains and also create a clean, luxurious feel. After discussing the design with the customer, they decided upon having the installation made up of two different colours. 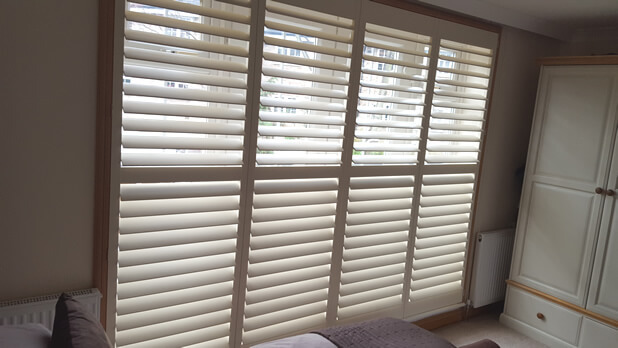 The shutters themselves were created in a lovely silk white to create a more vintage looking colour compared to pure white. The shutter frames were finished in oak mantle which tied into the lintel located beneath the window sill. This made the whole installation fit in a lot better with the existing look of the room, as if they have always been there! 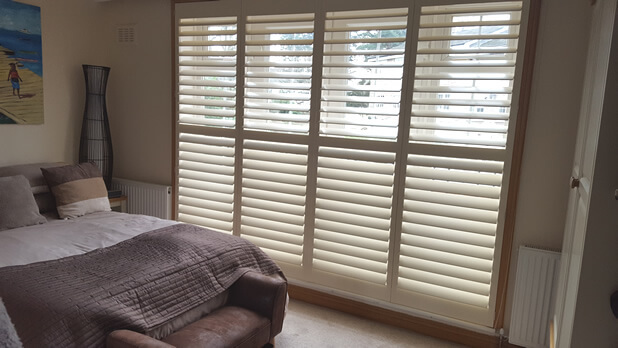 The shutters were created from our Fiji Range using paulownia wood and set up in a bi-folding full height style. 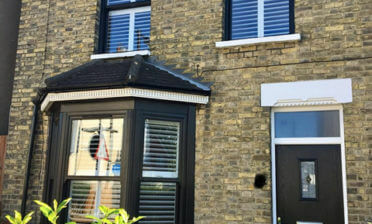 These bi-folding shutters can quickly and easily be opened to the side even in this small space, allowing for full light from the windows behind to stream into the room. They can also be adjusted over all the panels, top and bottom thanks to the mid rail that was fitted. The mid rail also acts as a great way to strengthen shutters of this size!